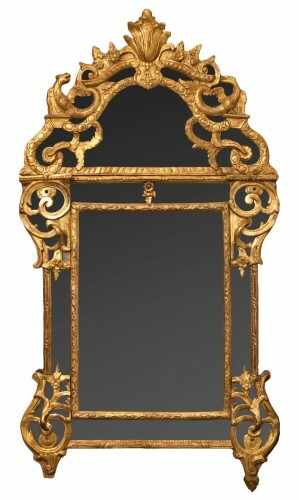 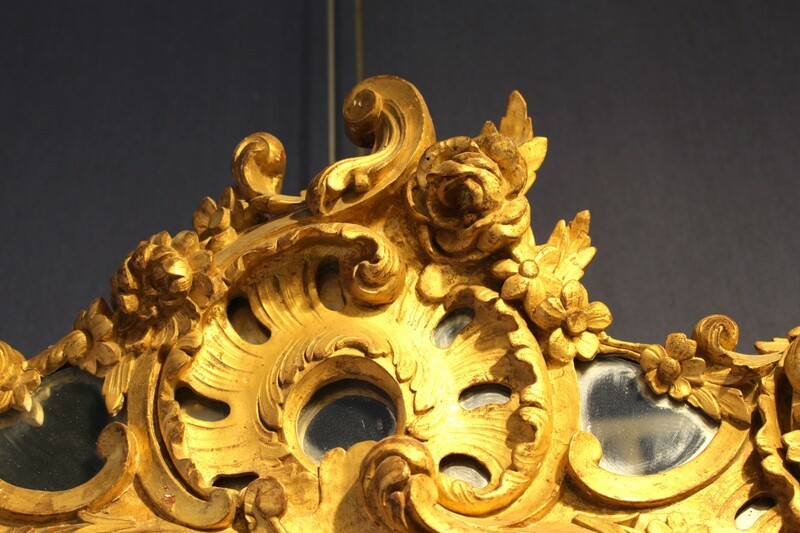 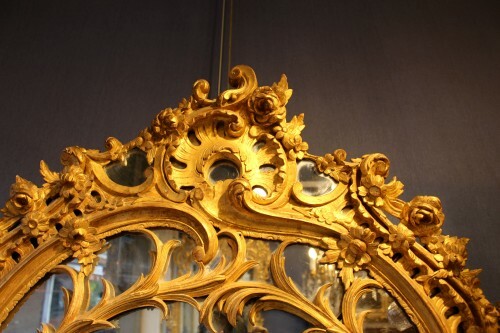 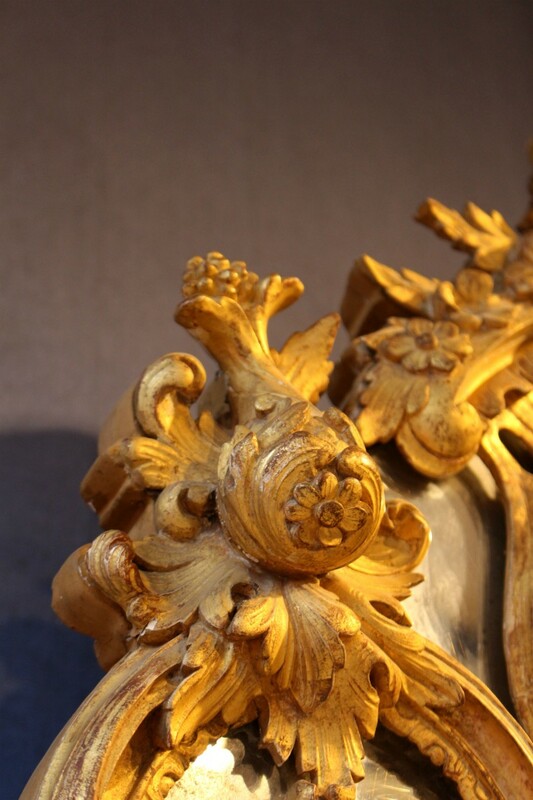 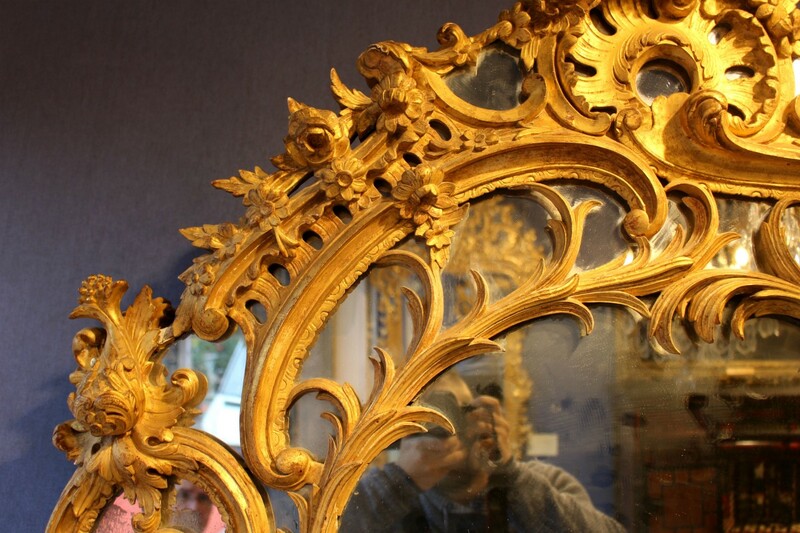 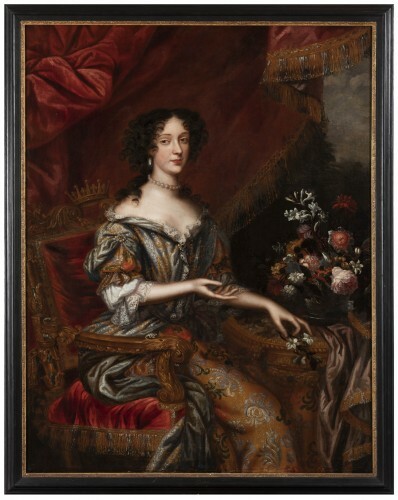 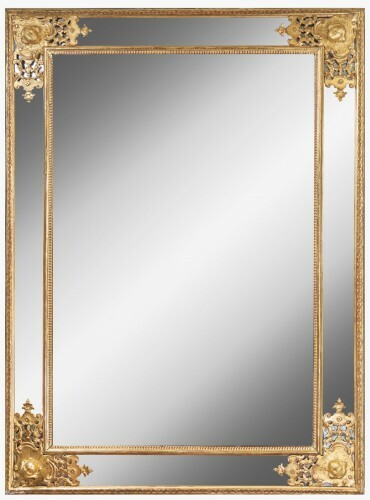 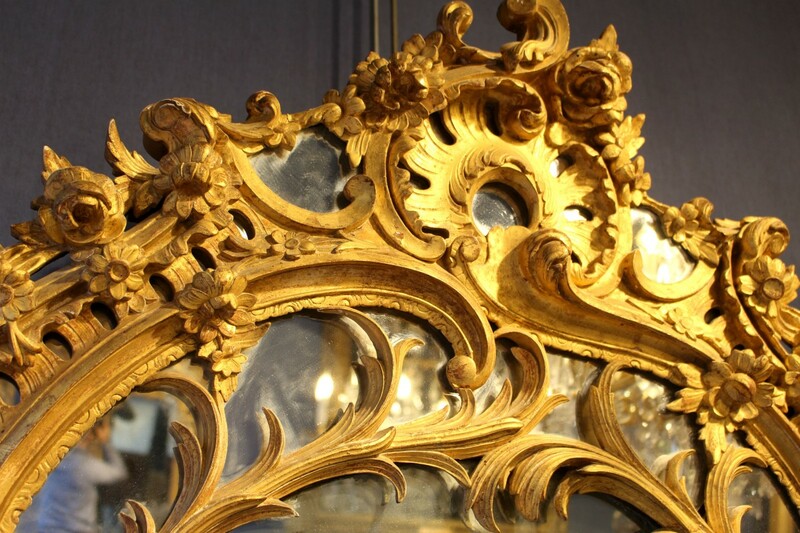 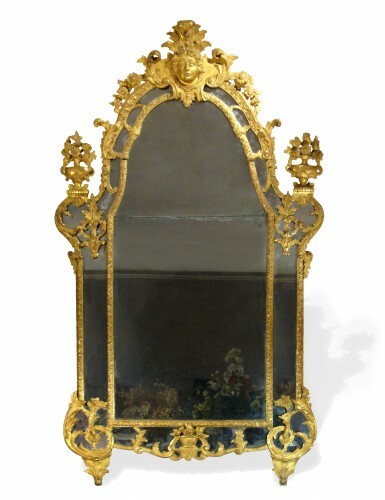 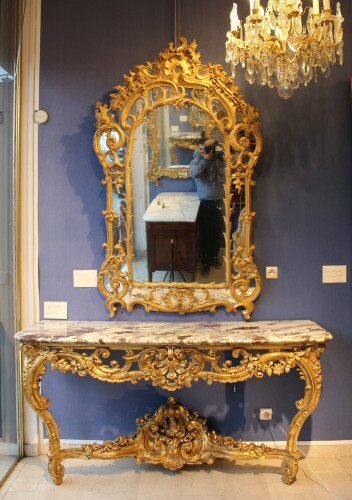 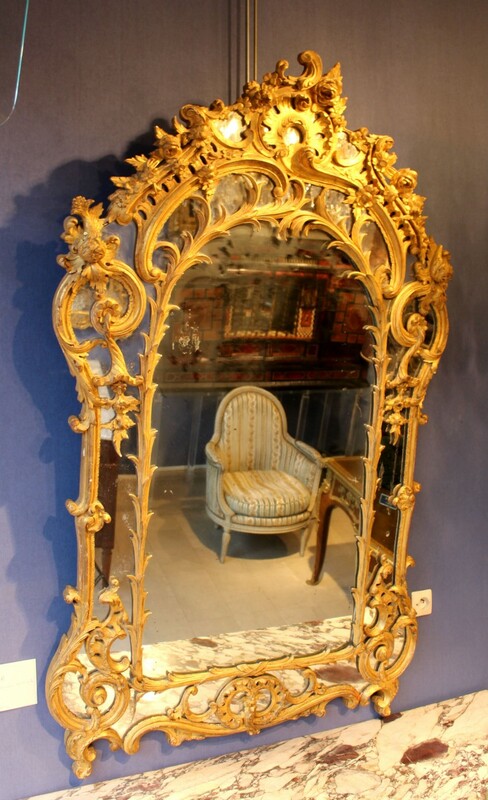 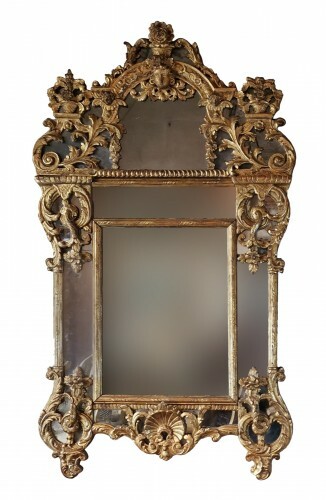 Mirror with pareclose, Paris around 1720/1725, carved and gilded wood. 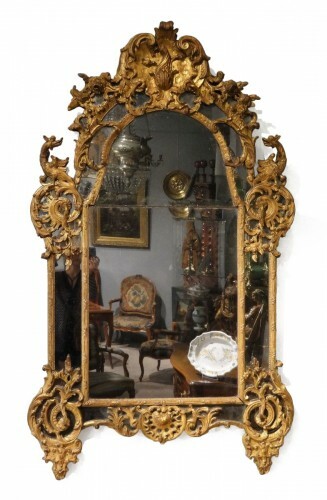 Topped with a perforated palmette, floral ornamentation flanked by scrolls of rockery foliage and horns of plenty. The sculpture is of a high quality. 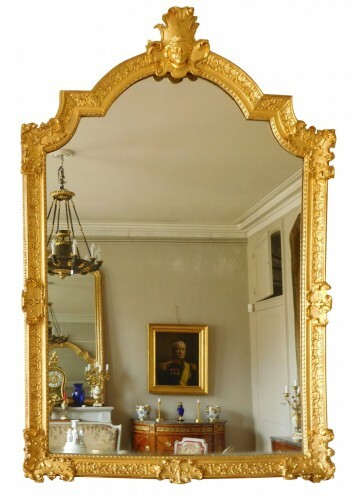 "Le style régence" by Calin Demetrescu Page 45 Fig 23, "World Mirrors" by Graham Child page 185 no. 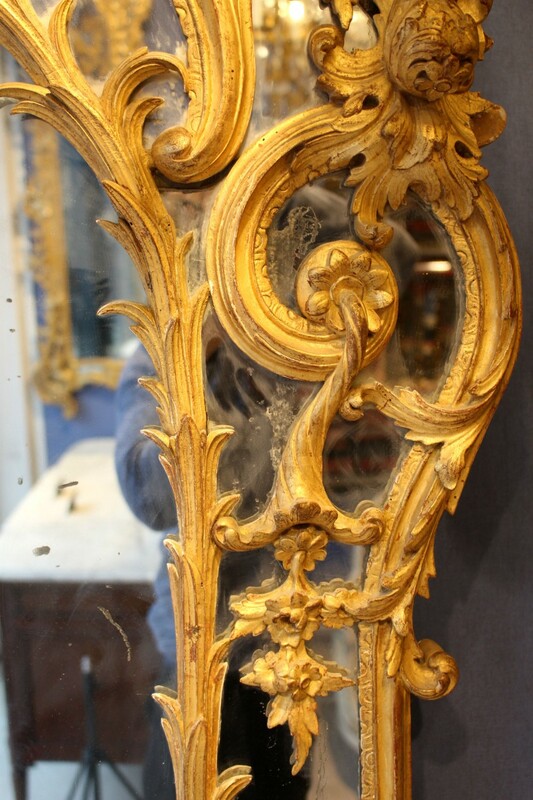 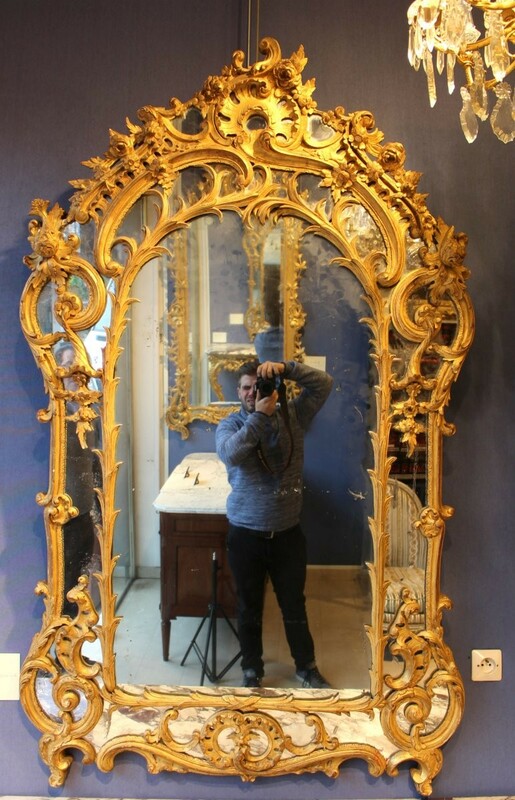 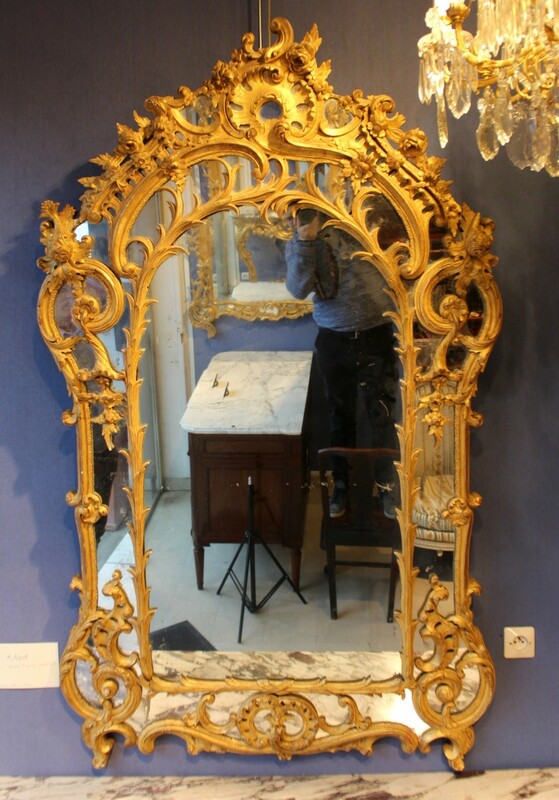 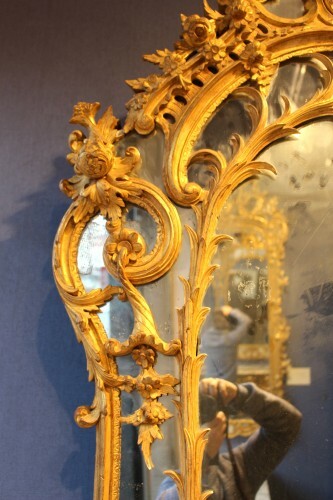 337 "Regency mirror around 1720"
Fig. 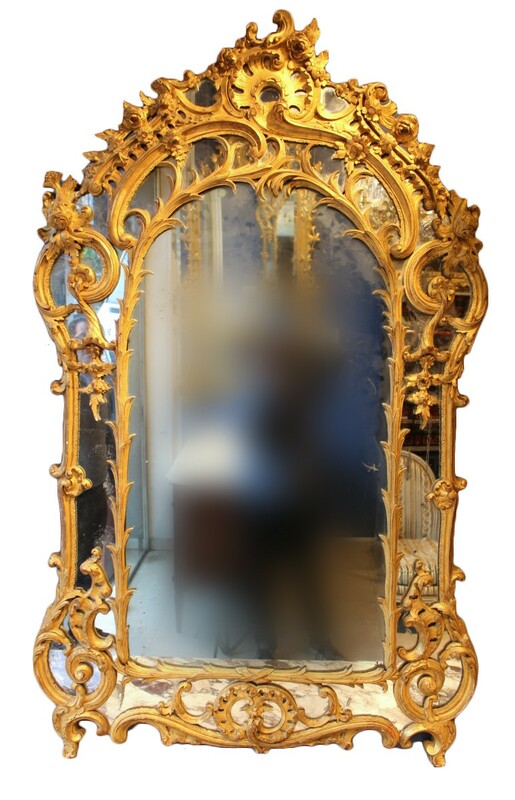 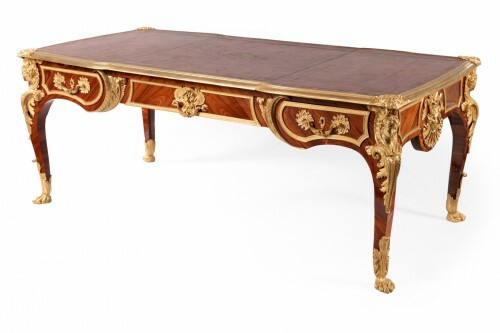 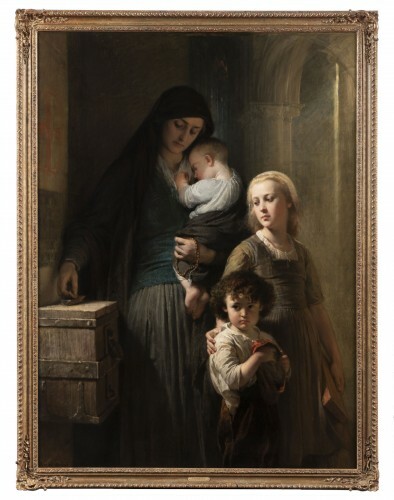 23 has been identified as being sold by the merchant Larche "Eyewear and Mirror Master & Merchant"
It is quite possible that it was sold by a marchand-Mercier, or by Larche. 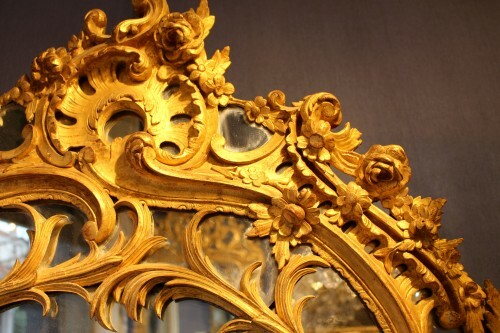 Possibility of a certificate from an independent expert recognised by the court of appeals.